This beautiful sofa table with add the perfect finishing touch to your traditional living room ensemble. The smooth rectangular table top offers a nice spot to accessorize, with elegant curved corners and radiant veneers in a cherry finish. The shaped apron features intricate carving, with a shell and leaf design. 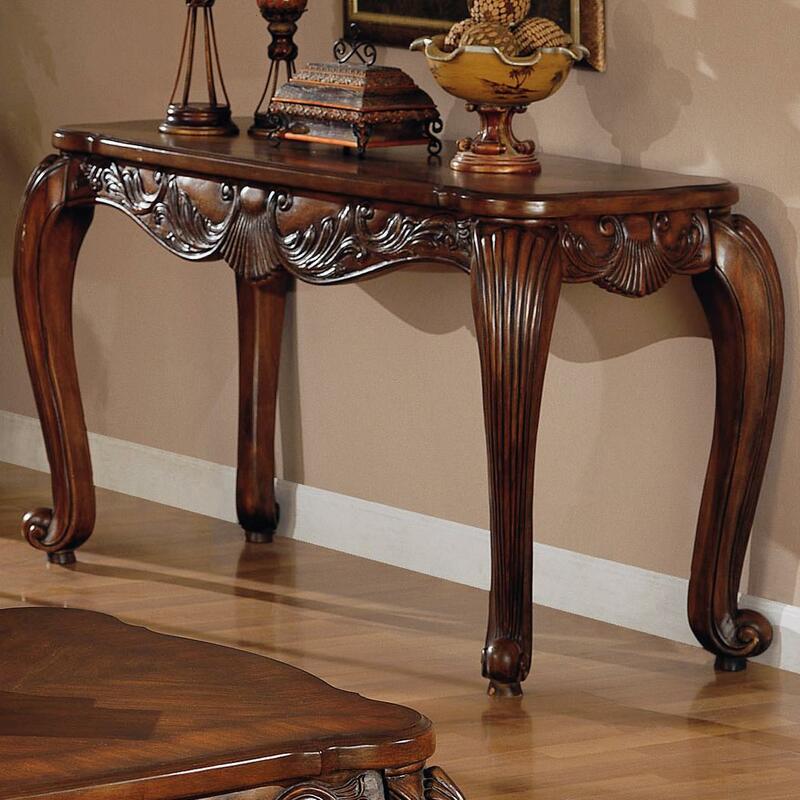 Elegant scrolled legs support this stunning table. Add this piece to your living room for a warm traditional look that you will love. 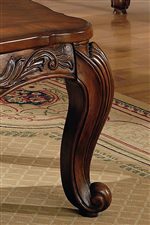 The Venice Traditional Sofa Table by Coaster from Nashco Furniture - Nashville. We proudly serve the Nashville, Franklin, Brentwood, Clarksville, Green Hills, Davidson County, Williamson County, Tennessee area. Product availability may vary. Contact us for the most current availability on this product. 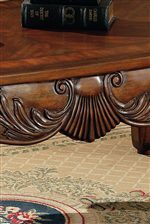 The Venice collection is a great option if you are looking for Traditional furniture in the Nashville, Franklin, Brentwood, Clarksville, Green Hills, Davidson County, Williamson County, Tennessee area.